I live in Denver, Colorado, so I put a pom pom there. At first glance, there's not much to this story, but there's actually more to it than meets the eye. This is an international pom pom. I made it in France, then took it to Las Vegas with the intention of hanging it there, then ended up leaving it on a tree in Denver. Last spring when I was on tour in France, we had a "P" party and everyone dressed up like something that starts with the letter P. I made about 20 pom poms and attached them to my shirt and hair for the occasion, and I still have all those pom poms on a shelf at home. One of those pom poms caught my eye as I was packing for our honeymoon last week, and I decided to bring it along with me to hang somewhere on our trip. I thought it would fit in great in Las Vegas because of the sparkly gold yarn I had mixed in with the pink. Here I am holding up the pom pom in front of our outrageous view from our hotel room. The water that you can see behind the pom pom is the Bellagio fountain! It was pretty awesome. Anyway, on the last morning of our honeymoon, with plenty of time to spare before our flight, I took the pom pom and went down to the lobby to buy a coffee and find the perfect place to leave my creation. As I was standing in line to place my order, I received a text from my husband: "Don't mean to stress you out but we need to go. I made a mistake. The uber is on the way." It turns out that the calendar in my husband's phone had automatically changed the time of our flight because of time zones, and we were epically late. I left the coffee line, found my husband, jumped in a car to the airport, jumped back out of the car, and checked our luggage exactly one minute before the cut-off time. We literally ran through the airport while our names were announced over the PA system. But we made it! Just barely. 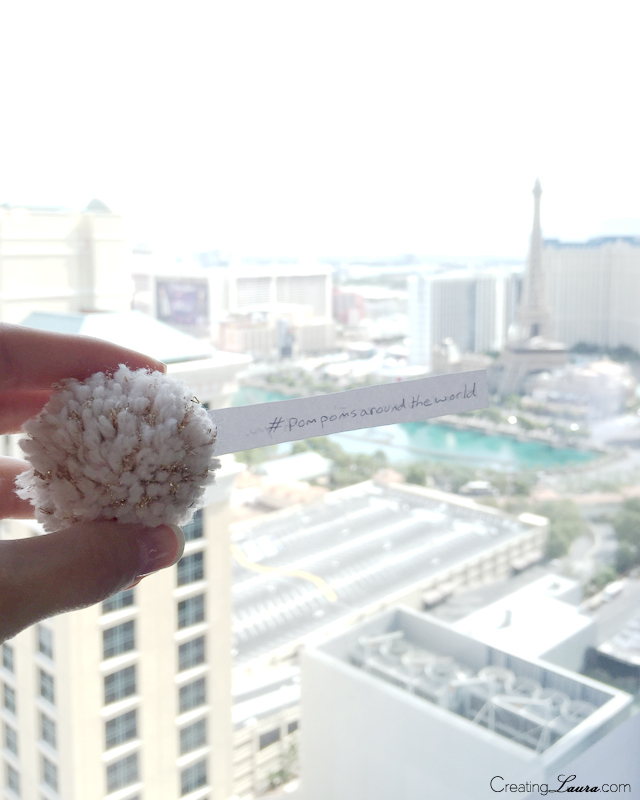 So the pom pom did not end up in Las Vegas. 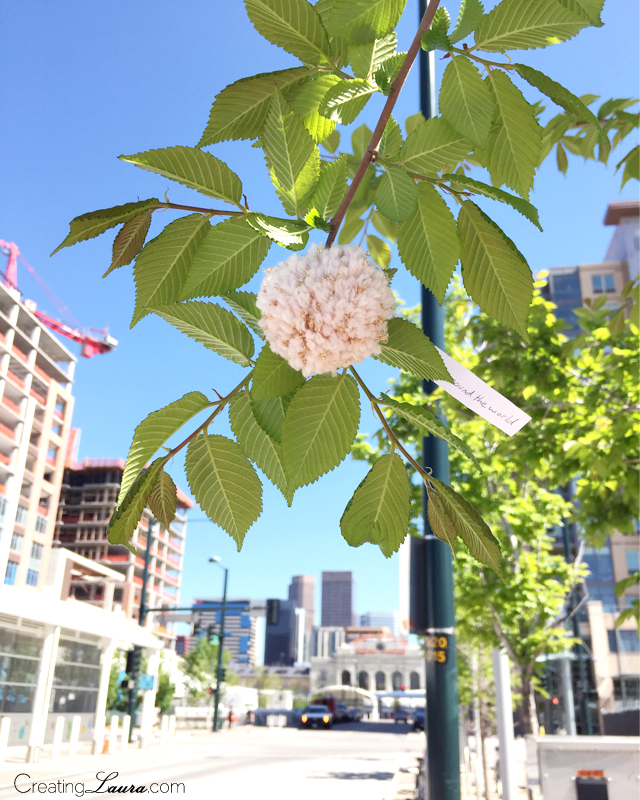 It ended up on a tree by the light rail tracks at Denver's Union Station, because there's a train that runs from the airport to Union Station now, which is the coolest thing ever. 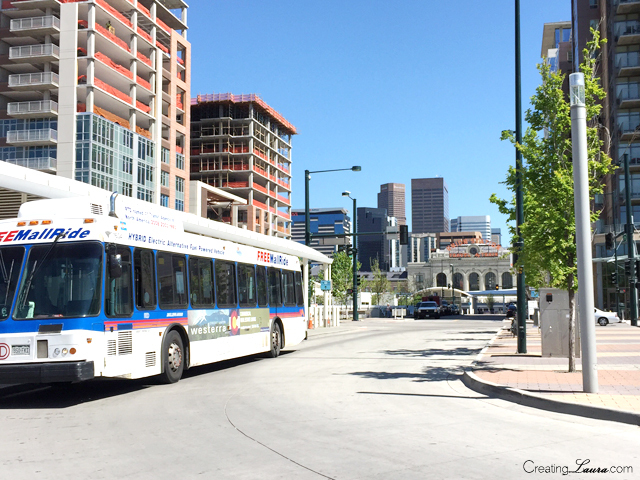 Denver just gets better and better. The pom pom is on a low-hanging branch on that little tree on the right side of the picture above. I normally attach my pom poms to trees with a yarn tail that I leave on specifically for that purpose. This pom pom was for that costume in France, though, so it had a safety pin attached to it instead of a built-in yarn tail. I wasn't sure how I was going to make it work as a pom pom yarn bomb, but the safety pin actually worked out really well. 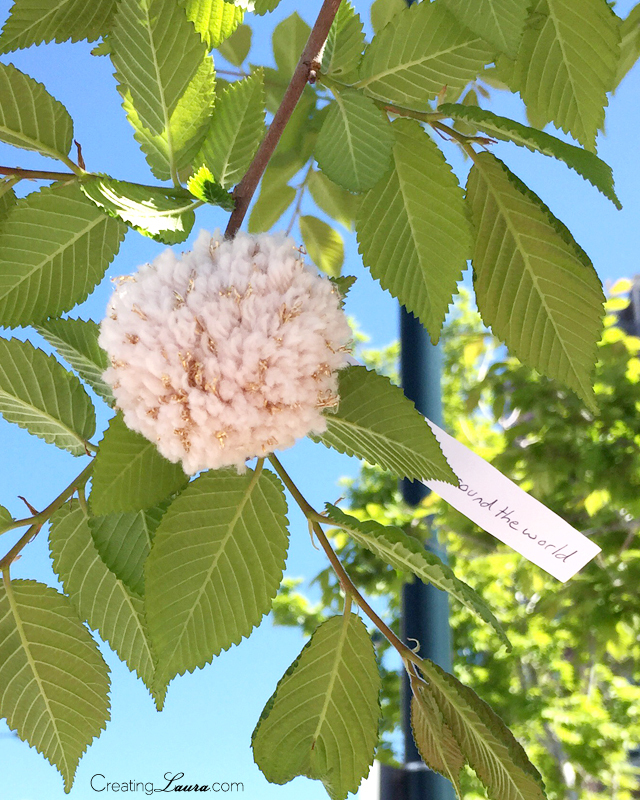 I just used the safety pin to skewer my usual #pompomsaroundtheworld note and then closed the safety pin around a skinny little branch on a tree, just above a fork in the branch that stopped the safety pin from slipping down. The tree wasn't harmed and the pom pom was nice and secure. On the back side of my note, I wrote "home is wherever I'm with you," which is a lyric from an Edward Sharpe & The Magnetic Zeros song that perfectly sums up how I feel about my husband. It was supposed to be a honeymoon pom pom, after all. So that is the very long story of how this particular pom pom ended up in Denver, Colorado. I really hope someone notices it and that it brightens his or her day! I'm Laura, an ice show skater, knitwear designer, and fan of all things DIY. I write about those topics here. Welcome! Did you use a Creating Laura tutorial to make something cool? Show it off! Upload a photo of your project to any social media site with the hashtag #CreatingLaura. 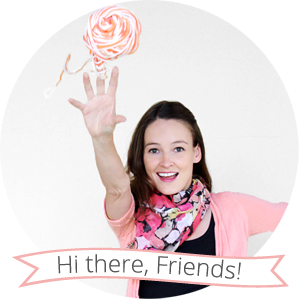 FYI: I am a member of the Craftsy affiliate program. If you click on a link to Craftsy and make a purchase, I'll receive a small commission. Please don't worry, though, all opinions on this blog are always my own. All original content copyright © 2011-2016 Laura Doty LLC, all rights reserved. All tutorials and knitting patterns are for personal use only. Please do not reproduce them in full on your own website or anywhere else, and do not sell the items that you make from them. All photos taken by Laura Doty unless otherwise noted. You are more than welcome to use one or two of my photos on your blog as long as you link back to my site as the original source and send me an email at CreatingLauraBlog (at) gmail (dot) com.